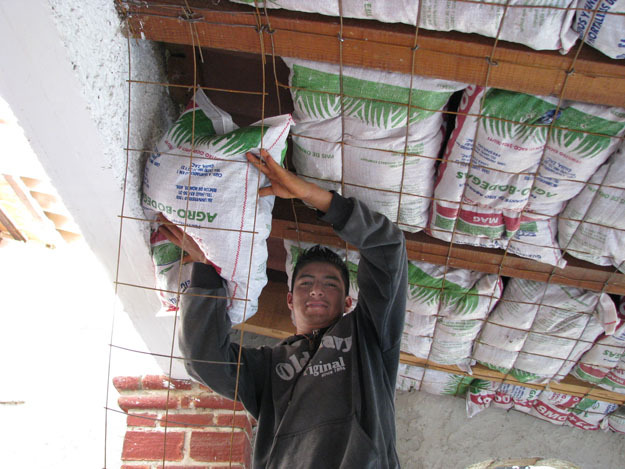 Rice hulls are an ideal natural insulator with an R-value of about R-3 per inch. Typical sized (17" x 30") poly bags full of rice hulls provide 8" of insulation or R-24. 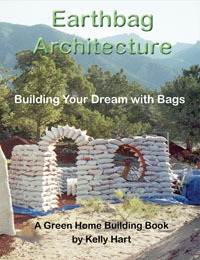 Larger bags, which are readily available, could be used to increase the insulation level. Example: a 22" x 36" bag full of rice hulls measures 11" thick for R-33. Rice hulls are resistant to moisture and fungal decay, meet US building codes and do not readily flame or smolder. Staple the bags shut and add a small amount of borate (Borax) to each bag to deter mice and other pests. Don't overfill the bags or they won't rest snuggly against each other. Both perlite and vermiculite have superior R-values as compared to EPS (expanded polystyrene) and tests show them to be around R-2.8 to R-2.3 per inch. They also have superior fire ratings. While the insulating value of scoria is not as high as any of the above, it is still a reasonable alternative that is completely fireproof. It is important for the aggregate to be crushed to about 3/4" to 1" size and screened to exclude most of the fines (which would just add weight and lessen the insulation). Any of these bagged materials can be suspended and supported between rafters or ceiling joists with the use of wire mesh, which need not be very fine. In fact we have successfully used the standard 6"X6" wire mesh that is commonly used to reinforce concrete pads for this purpose. The mesh can be stapled to wooden rafters with ordinary fencing stapes or wired to the rafters using nails or screws driven into the wood to anchor the wire. If this is done sequentially with the insertion of the bags, the whole process can be done from beneath an existing roof. After the bags are in place, they can be completely covered with other natural finish materials. 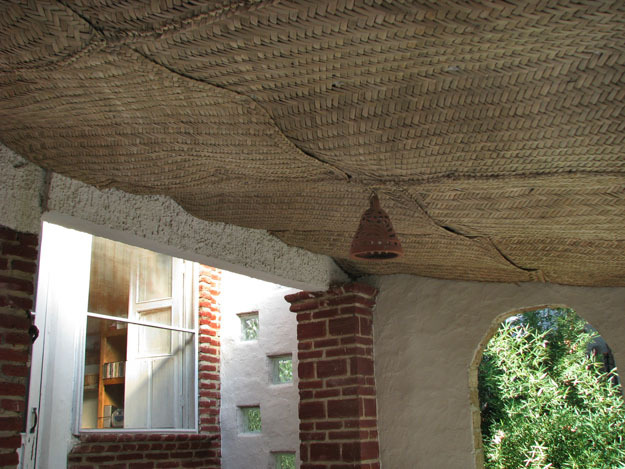 One choice for ceiling material that can be strikingly beautiful are reed mats, which can possibly be combined with bamboo trim. 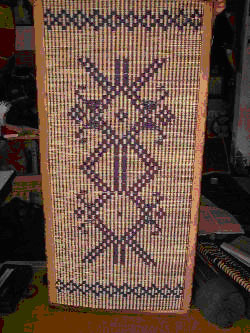 Reed mats come in many different sizes, colors and patterns, ranging from very simple to very ornate. An Internet search will reveal the countless varieties available. The mats pictured above were made in Mexico and cost about $2.50 each. Another example of a decorative reed mat from Thailand is pictured on the right. These mats can be attached to the ceiling in a variety of ways. One simple approach is to staple them up with a staple gun and appropriately sized staples. Another would be to tack them up with upholstery tacks, or even nails with large enough heads to keep them from pulling away. It is also possible to discreetly fasten them with thin gauge wire that is wrapped around the wire mesh above. Sometimes a combination of these methods may be necessary to adequately suspend the mats. It is also possible to prepare a grid of 1" X 2" wood struts that are spaced to exactly match the size of the mats that you are using. 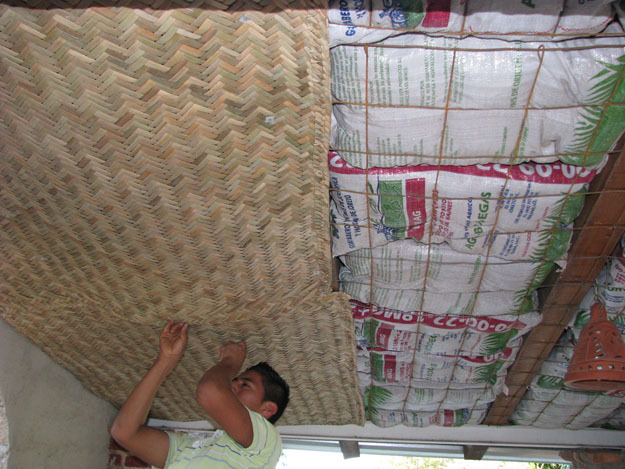 Aligning the reed mat carefully along the edges of the ceiling will obviate the need for additional trim. Or the seams can be hidden with split bamboo trim pieces that are screwed to this same grid. Such bamboo adds an exotic touch and is complimentary to reed mats. Pre-drill and countersink holes to help hide the screws. Trim screws with small heads are less noticeable. Screws are recommended because they are easy to remove later, if necessary. Building codes and fire safety concerns tend to diminish ceiling alternatives. In order to meet codes in many areas, materials with a 30 minute fire rating are required. For those in such code jurisdictions, reed mat and bamboo or wood trim could be added to a typical sheetrock ceiling after you've received a certificate of occupancy.